Professional chefs and discerning home cooks prefer Le Creuset Cast Iron Cookware, and it is usually at the top of every home cook’s wish list. Cast iron has been around for thousands of years, due to it’s sturdy construction, even and heating, and heat retention, so that your food is cooked thoroughly and stays warm longer than in any other type of cookware. Le Creuset, which means cauldron in French, is a homage to the molten hot vats of bubbling hot liquid iron from which Le Creuset cast iron cookware is born. Since it’s founding nearly a century ago, Le Creuset has remaining one of premier manufacturers of cast iron cookware sets around the world. Each piece of Le Creuset Cast iron is a unique piece of cookware, and is true green cookware, made without harmful chemicals and uses lead-free coatings. The story of Le Creuset Cookware (pronounced law-crew-say), which you can read here, began in 1925, when casting specialist Armand Desaegher and enameling expert Octave Aubecq, met and discovered an opportunity to make cast iron cookware even better. They found that they could coat bare cast iron cookware with an enamel coating. This created a unique non stick cast iron cooking surface. This was found to improve the versatility and functionality of cast iron cookware. The enamel coating created a non-stick cooking surface that prevented food from sticking and made cleaning easy. This was revolutionary for the time. Since creuset is the French word for cauldron or melting pot, it was fitting that the first Le Creuset cast iron skillet was painted in orange flame, the color of cast iron when it first comes out of the 2000 degree flaming cauldron, from which they are born. Is it any wonder that to this day Flame is still their best selling color. Rather than the mass produced low quality cast iron cookware made in China, Le Creuset Enameled Cast Iron cookware available here is still made by hand in France, by trained casting specialists, who still use the same exacting production methods developed by its founders nearly a century ago. Each piece of Le Creuset cast iron begins by pouring molten steel into a sand mold. Each mold is destroyed after use, so it can only be used once. After each stage in the manufacturing process, each piece is inspected, and only the best pieces are allowed to continue to the next process. Any piece that fails inspection is sent back to the creuset to be melted down and starts its life over again. While most enameled cast iron cookware has a white cooking surface, Le Creuset has mastered the enameling process, and also makes cast iron cookware with a black enameled surface. The Le Creuset Enameled Cast Iron Cookware 6 Pc Set available at Amazon.com is the perfect cast iron cookware set for people who want to start using this sturdy and long lasting cookware in their home kitchen. You can get the 6-pc Classic Le Creuset Cast Iron Cookware Set here in the following exciting colors. Just click a picture below to see the Le Creuset Cookware Colors available, to learn more and buy it on Amazon.com. Le Creuset Cookware Sets have black or white enamel frit baked onto the bare cast iron skillet at high temperature, so it is applied permanently. The baked on enamel coating will never chip or crack, like Teflon coated non-stick pans eventually do. In addition, enameled cast iron does not have the potential health risks of PFOA coating in non stick cookware. Le Creuset is the most versatile cast iron cookware, since the coating acts as a non-stick cooking surface that keep food from sticking and is easier to clean than bare cast iron skillets. Use your new Le Creuset cast iron cookware to make everything from sauces, soups, rice dishes and more in the saucier. If you enjoy making large pots of soup, stews or other hearty dishes, the 5-1/2-quart round French oven will quickly become your favorite cooking pot. The 10-inch square skillet grill is perfect for grilling chicken, making bacon strips for breakfast, grilling hamburgers, your favorite chops or grilling healthy fish. The raised ridges of this cast iron skillet give meat or vegetables grill marks like your favorite restaurant, and keeps food above grease or fat drippings for healthy cooking. Dual spouts make for easy drip-free pouring of juices onto your food or to easily discard fat or grease. Offers white or black enameled cooking surface. to Shop for for the best deals on Le Creuset Cookware Sets and accessories. Every piece of Le Creuset Enameled Cast Iron Cookware is safe to use on the stove top or oven. The cookware can withstand heat up to 400 º F.
Most pieces can be washed either by hand or in the dishwasher. Some pieces are recommended to wash by hand. Follow the manufacturer’s care instructions to ensure a lifetime of use. If you have ever cooked with cast iron cookware then you know it gets pretty hot. The stay cook knobs make it easy to remove the lid. This way you can view or stir the food without getting burned, even with your bare hand. I still recommend touching the knob with a finger before grabbing the lid, just to play it safe. Le Creuset Cast Iron Cookware come with ergonomic handles to ensure a safe, secure grip when transporting from stove to table to prevent burns and injury. Can you Season Enameled Cast Iron? The advantage of Le Creuset Enameled Cast Iron Cookware over bare cast iron cookware is that it does not need to be seasoned. Another advantage of Le Creuset Cast Iron is the ease of cleaning. Just clean with a soft cleaning sponge, and mild soap. No scrubbing is needed. The beauty of enameled cast iron cookware is that the enameled coating. It is actually baked on glass frit that becomes white during the baking process. This creates a permanent non-stick coating that will never crack or chip. You will never need to season enameled cast iron. When you cook with Le Creuset, a small trace of iron is absorbed into the food and ultimately into your body. Iron is a trace metal found in the earth and is critical to human health. The mineral Iron is found in the hemoglobin of blood and is responsible to transport oxygen from the lungs to the tissues, and to transport carbon dioxide back to the lungs. Iron deficiency is a common human ailment, due to lack of consumption of foods naturally high in iron. What are People Saying About Le Creuset Enameled Cast Iron Cookware? Jessica wrote – This is by far the best cookware available. My advice, READ the manual before using if you are not familiar with the way cast iron cooks. 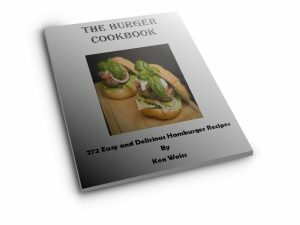 Shelley wrote – I recommend this product to any avid cook. Especially for soups and stews, the dutch oven is just…marvelous. L. Jarkow wrote – I have had a set of these pots and pans for over 30 years and love them. My son just got engaged and wanted a set of these for their new home. This is a great price, you can’t beat it and a very useful set for a start. Bob wrote – I bought this for my wife. She loves the set. I think food tastes better from Le Creuset products. I rate this 5 star because my wife is so happy. What else can a guy say? Are there any negatives to the Le Creuset Cookware? The most common negative comment people made about Le Creuset cast iron cookware is the price. It’s premium price is due to the cookware is still hand made in France by artisans. This is definitely not mass produced cheap cast iron cookware made in Asia. Where Can You Buy Le Creuset Enameled Cast Iron Cookware? You can Buy Le Creuset Enameled Cast Iron Cookware in a rainbow of colors to match your kitchen or your colorful personality at Amazon.com, for less than you would pay at many retail stores. With the Free Shipping Option and largest selection and color variety, Amazon.com generally is the best overall value for your dollar when buying Le Creuset. This microwavable cookware and cooking pots are sleek. Sometimes getting the right kitchen essentials can be a pain. These Kitchen Accessories I ran into not long ago can be a great solution for any home.